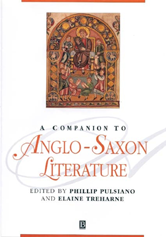 This acclaimed volume explores and unravels the contexts, readings, genres, intertextualities and debates within Anglo-Saxon studies. Brings together specially-commissioned contributions from a team of leading European and American scholars. Embraces both the literature and the cultural background of the period. Combines the discussion of primary material and manuscript sources with critical analysis and readings. Considers the past, present and future of Anglo-Saxon studies.